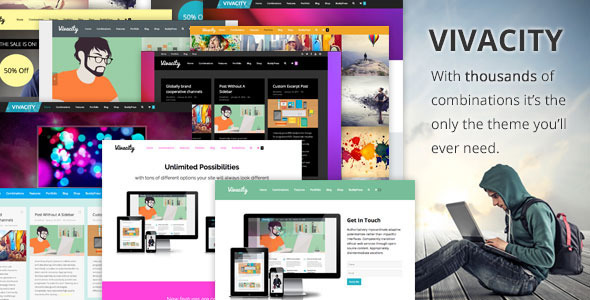 Vivacity 1.9 newest version : Released on June 6th, 2014. Buy With Confidence I’ve been selling themes on ThemeForest for 4 years now, and I’m not going anywhere. All my themes are rated 4 stars or above so you know you’re buying quality.